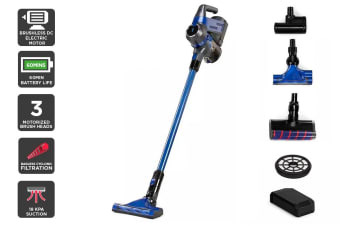 Engineered with incredible suction power, the Kogan T8 Pro Cordless 22V Stick Vacuum Cleaner Clean More Combo makes housework a walk in the park, equipped with an extra battery and additional filter. Eliminate pet hair from the couch and enjoy dust-free carpets thanks to the Kogan T8 Pro Cordless 22v Stick Vacuum Cleaner & Accessories Kit featuring easy-to-use handheld mode and a huge range of effective attachments. 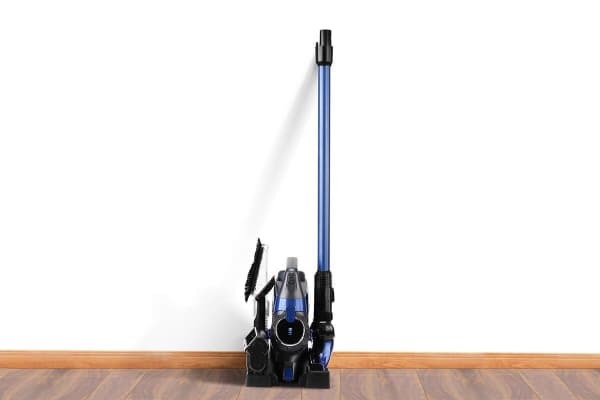 The Kogan T8 Pro Cordless 22V Stick Vacuum Cleaner is equipped with a Brushless DC Motor, which allows for more efficient sucking, quieter operation and a longer lifespan than conventional brushed vacuum cleaner motors. 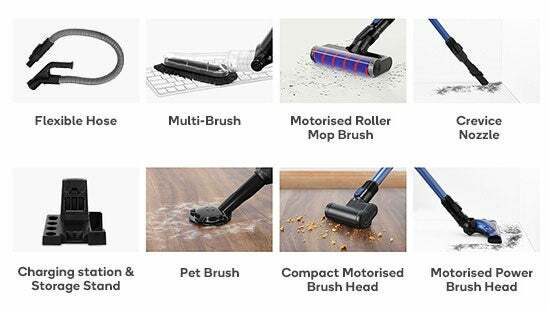 The Kogan T8 Pro Cordless 22V Stick Vacuum Cleaner & Accessories Kit’s motorised heads are designed to provide a deeper clean through more powerful and efficient rotating bristles, giving your surfaces a thorough clean by eliminating deep-seated dirt and grime. 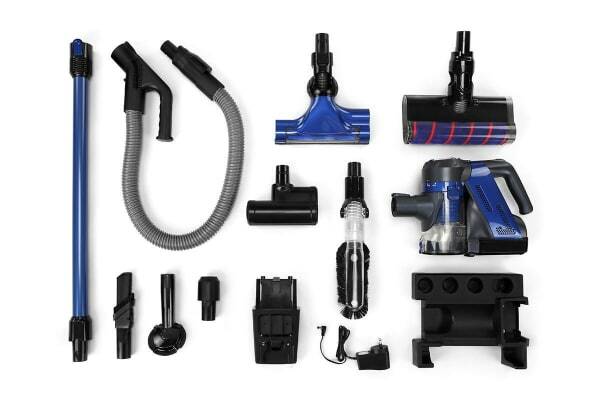 Toggle between the energy efficient “Standard Mode” suction setting for a steady suction that will enable longer battery runtime and switch to “Boost Mode” for a more powerful suction to tackle the most stubborn dust and dirt. 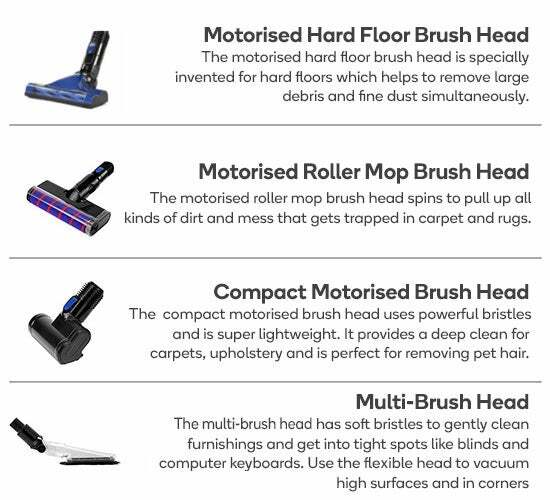 After use, simply store the stick away while the unit conveniently charges in the included compact docking station.